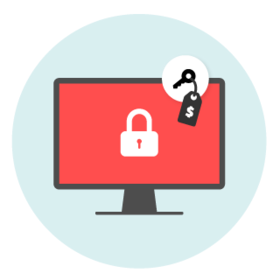 Ransomware is malware that attackers can use to lock a device, or encrypt its contents, in order to extort money from the owner or operator in return for a no-guarantees promise to restore access. Screen locker ransomware blocks access to the device’s screen other than the malware’s user interface. PIN locker ransomware changes the device’s PIN code, rendering its content and functionality inaccessible. 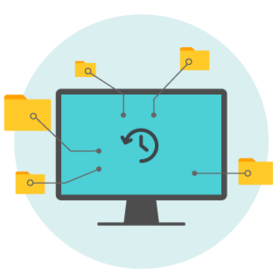 Disk coding ransomware encrypts the MBR (Master Boot Record) and/or critical file system structures, and thus prevents the user from accessing the operating system. Crypto-ransomware encrypts user files stored on disk. 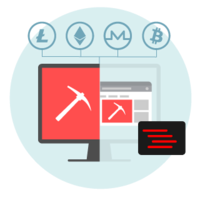 Generally these kinds of ransomware demand payment, most often in Bitcoin, Monero or another hard-to-trace cryptocurrency. In return, the cybercriminals claim they will decrypt the data and/or restore access to the affected device. 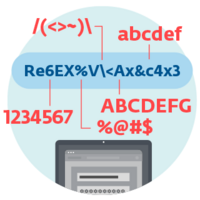 But there is absolutely no guarantee that cybercriminals will deliver on their side of the bargain (and sometimes are unable to do so, either intentionally or as a result of incompetent coding). 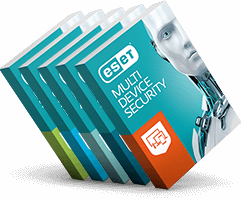 Therefore ESET recommends not paying the sum demanded - at least not before contacting ESET technical support to see what possibilities exist for decryption. Why should SMBs care about ransomware? According to the Ponemon 2017 State of Cybersecurity in Small & Medium-Sized Businesses (SMB) survey, every other company in the poll had experienced a ransomware attack in the previous 12 months, some on multiple occasions. Most (79%) saw their systems infiltrated due to social engineering attacks. 1. Contrary to their own beliefs, SMBs are becoming an increasingly interesting target for cybercriminals. 2. SMBs are more valuable targets for cybercriminals than consumers, and more vulnerable than large enterprises, as small and medium businesses typically lack the financial and information security resources of their corporate counterparts. This combination represents a “sweet spot” for the attackers. The same report also notes that desktops were the most targeted devices (78%), followed by mobile phones and tablets (37%) and company servers (34%). If the ransomware attack was successful, most (60%) of the victims paid the demanded ransom. The sum they paid was on average, more than $2150. But there are better ways to handle the ransomware threat, by focusing on prevention and recovery. How to keep your organization protected? If your company has not been hit by ransomware you might be tempted to assume this threat is reserved for larger organizations. The statistics show you’d be wrong. 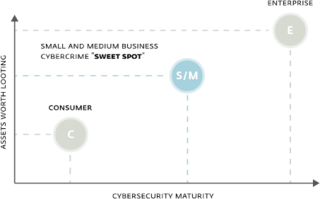 Also, a targeted attack can get out of control and cause indiscriminate damage, even worldwide. In June 2017, a malware attack in Ukraine, detected by ESET as Diskcoder.C (aka Petya or NotPetya), soon burrowed its way out of the country. It later transpired this was a well-orchestrated supply-chain attack that infiltrated popular accounting software to attack and harm Ukrainian organizations which got out of hand, infecting many global and smaller companies, causing hundreds of millions of USD in damage. Another ransomware worm detected by ESET as WannaCryptor.D (aka WannaCry) spread rapidly, using the leaked NSA tool EternalBlue, which exploited a vulnerability in the SMB (Server Message Block) network protocol, mainly used to provide shared access to files and printers. Despite Microsoft issuing patches for most of the targeted, vulnerable Windows OSes almost two months prior to the attack, WannaCryptor.D infiltrated networks in thousands of organizations worldwide. The cost of the damage resulting from this cyberattack has been estimated in billions of USD. 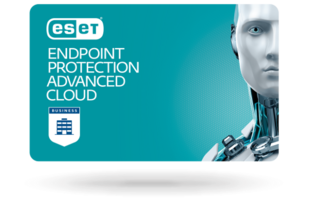 Get effective protection against ransomware with ESET multilayered endpoint security including Ransomware Shield and LiveGrid® protection via the cloud and network attack protection. Combine ESET’s powerful scanning engine with ESET Cloud Administrator (ECA) and gain detailed network visibility.